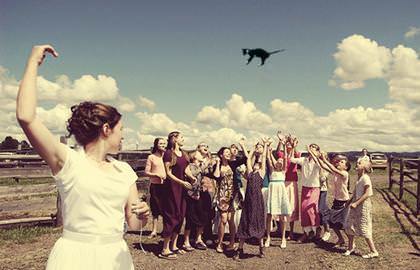 The power of Photoshop has sparked another entertaining and hilarious Internet trend. 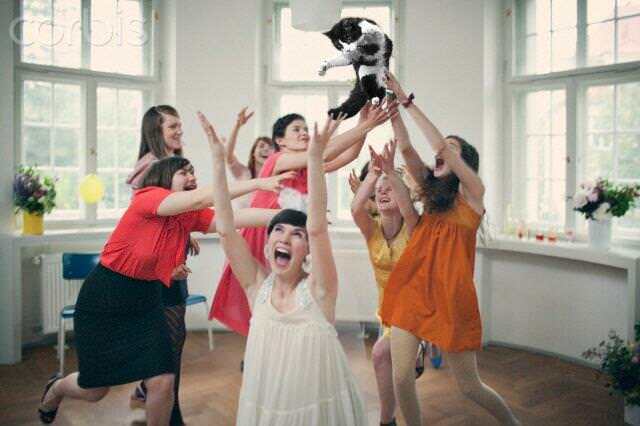 This time it’s in the form of cats replacing bridal bouquets as they are flung across the room towards an eager crowd of women. This trend is brought to us by the aptly titled Tumblr account BridesThrowingCats.com, a website started by “a guy from Australia that likes cats and Photoshop.” The mission statement of the website is simply outlined in the about me section: “Bride - Bouquet + Cat.” The creator of the website goes on to state repeatedly that it’s not real, but he flattered that people would think his Photoshop skills are so realistic. Whether this is in response to actual outrage or if he’s just trying to head off some animal rights activists, it’s hard to say, but rest assured no animals were actually harmed in the creation of these pictures. The concept of Photoshop was originally to simply enhance photographs and make what was already there better. You can remove blemishes, fix lighting issues, and tweak the colors of your photograph to make it pop. When you unleash a creative tool on the masses, however, it’ll shift and take on a life of it’s own. There’s Phones Replaced With Sandwiches, Baguettes Me Not (where random items are replaced with bread), and the rather bizarre, but oddly entertaining meme of removing animals necks. Weddings in particular have attracted creative Photoshop trends with wedding parties running from dinosaurs or Star Wars At At’s. 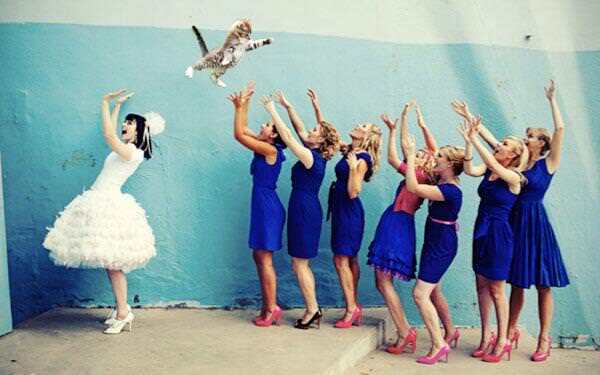 Brides Throwing Cats is just the latest in a long line of amazingly crafty Photoshop memes, but it’s definitely one of the most popular right now. 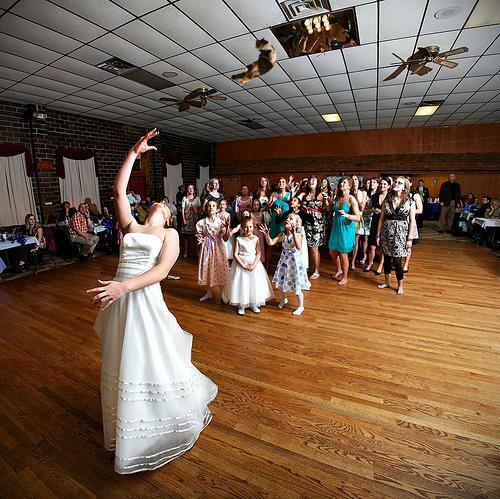 All of the photographs on Brides Throwing Cats are either drawn from copyright free and creative commons sources or submitted directly from the photographers or newlyweds themselves. The website has becomes so popular that many people have begun submitting their own work, eager to have felines placed over their bridal bouquets. Of the two dozen entries currently on the website, many of them have notes (Tumblr’s measurement unit for the popularity of the post) reaching into the hundreds while a few even reach into the thousands. It’s popularity is skyrocketing this week with features on the Huffington Post, The Daily Dot, and even the Daily Mail so you can expect those notes to climb higher as word gets out about the festive flying felines.